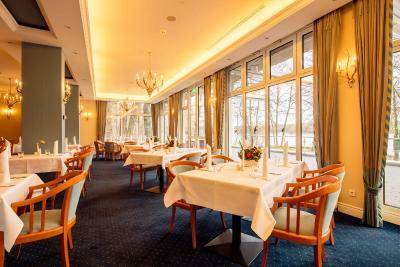 Lock in a great price for INSELHOTEL Potsdam – rated 8.6 by recent guests! 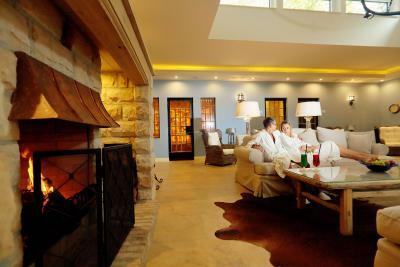 The staff were extremely friendly and really made sure our stay was enjoyable in every way. 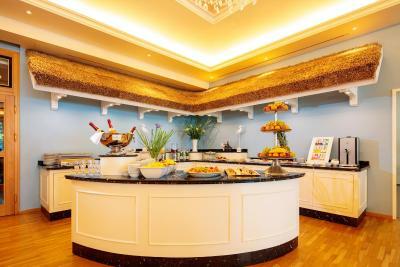 Excellent breakfast buffet and plenty of healthy options. Very relaxing location surrounded by nature, absolutely beautiful setting. It was a hot day so we left the patio door open and could listen to the frogs croaking away as we fell asleep. Outdoor pool was heated to 29 degrees and was pleasant for swimming. It is located in a very beautiful and silent place. 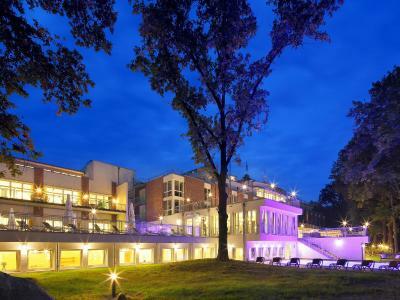 It was amazing to be there on a weekend, swimming in the warm outdoor pool and having a view to the lake and forest. Great experience. 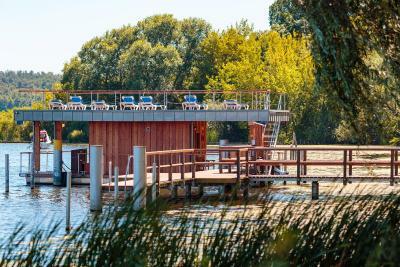 Amazing place to get a relaxation weekend, close proximity to Berlin. Pool & spa area is very cozy and nice! Tea, fruits, water all provided for free. 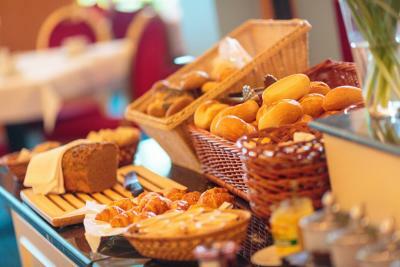 Very good breakfast! Location is excellent, away from city center noise, perfect place where to stay. 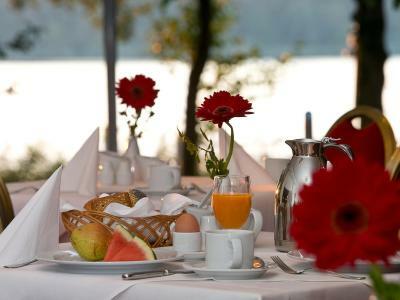 Breakfast with delicious food, great atmosphere and very good service. 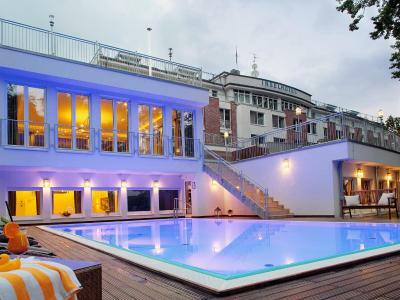 I went with some friends just for one night to get away from the crowds in Berlin. We wanted a peaceful night away from the hustle and bustle where we could sit with a beer and look at the lake. This is the ideal place to do just that. 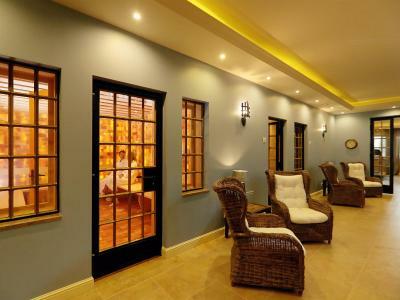 I'd go back again and this time enjoy the spa facilities at the hotel. Looks great. Very nice location surrounded by trees and water. Clean and comfy rooms. Good service. Acceptable breakfast. 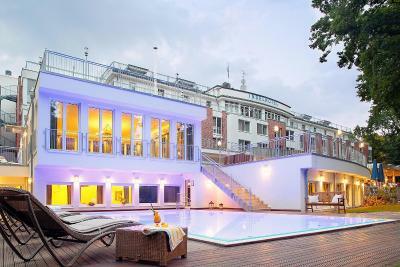 INSELHOTEL Potsdam This rating is a reflection of how the property compares to the industry standard when it comes to price, facilities and services available. It's based on a self-evaluation by the property. Use this rating to help choose your stay! 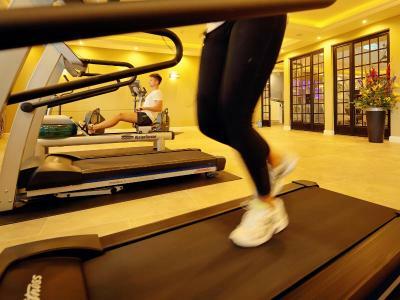 This 4-star hotel offers free Wi-Fi and extensive wellness facilities. 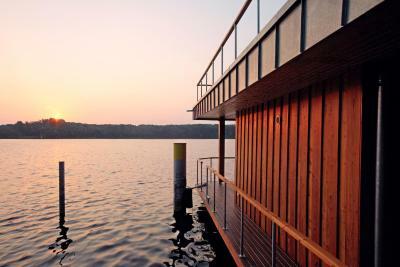 It stands directly beside the Templiner See lake, on the Hermannswerder Island, a 7-minute drive from Potsdam. 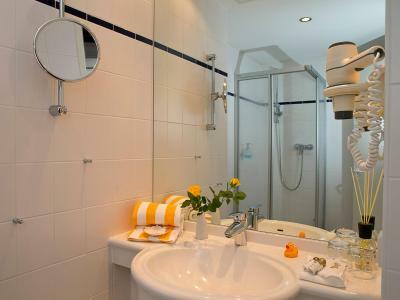 All rooms at the INSELHOTEL Potsdam have a TV, a mini-bar and a private bathroom with hairdryer. 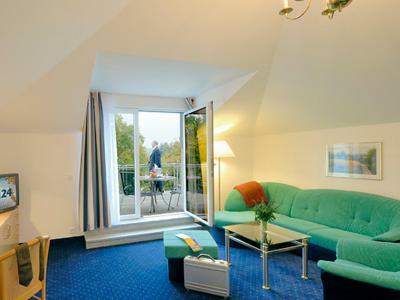 Rooms overlook the lake or the green countryside. Some rooms have a balcony or terrace. Guests can relax in the new AQUAMARIN spa area for an additional fee. 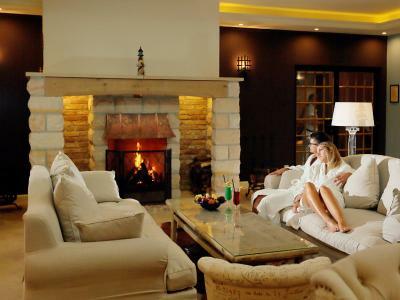 The spa area includes an indoor and outdoor pool, a sauna, a steam room, a salt and brine chamber, an ice fountain, heated benches, a nightingale sound room, a fireplace lounge, and fitness equipment during respective opening times. 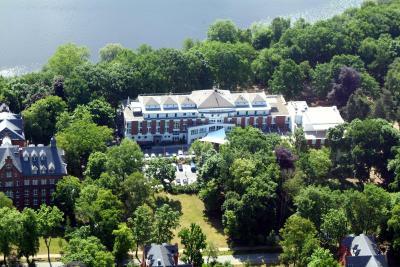 The INSELHOTEL Potsdam has its own boat jetty and yacht harbor. 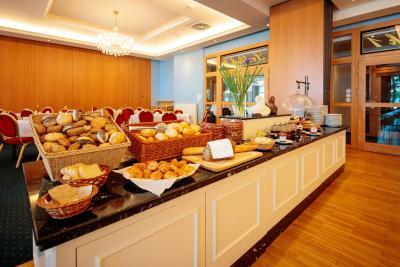 Rental bicycles are available, and the hotel can prepare packed lunches on request. Berlin is 35 minutes away by car. Parking spaces are available for a small daily charge and subject to availability. 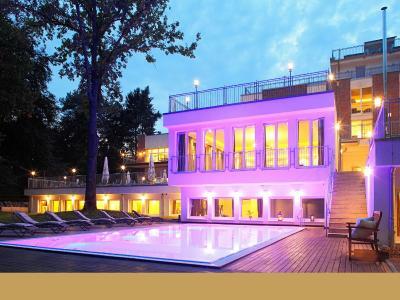 When would you like to stay at INSELHOTEL Potsdam? The room features a TV, a mini-bar, and has an private bathroom with a hairdryer. 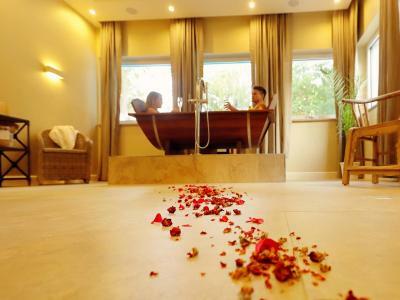 These rooms are located on the same side as the park and they include a terrace, a TV, a safe, a mini-bar, a desk as well as a bathroom with a shower or bathtub and complimentary toiletries. 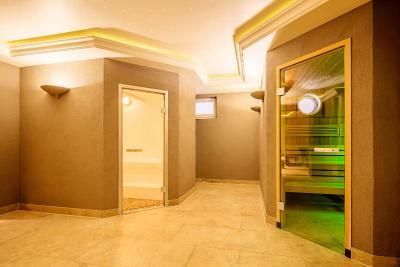 This 2-floor suite features a roof terrace, a TV, a mini-bar, and has an private bathroom with a bathtub and a hairdryer. 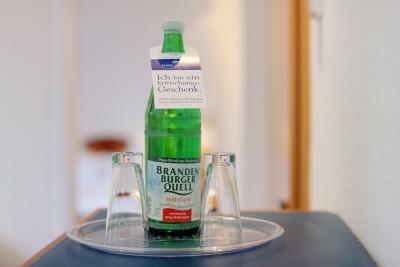 House Rules INSELHOTEL Potsdam takes special requests – add in the next step! 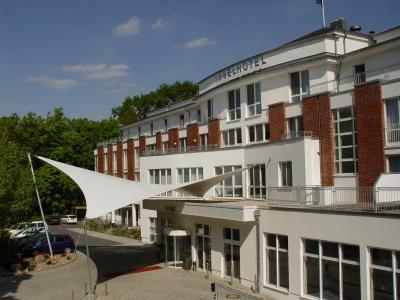 INSELHOTEL Potsdam accepts these cards and reserves the right to temporarily hold an amount prior to arrival. Please note that parking spaces are available subject to availability. Public parking costs EUR 5 daily and private parking costs EUR 10 daily. 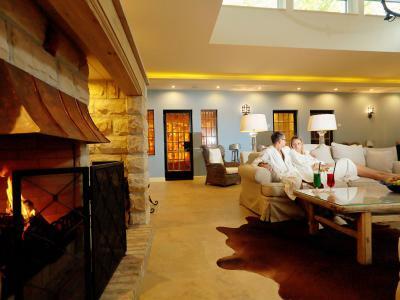 Please also note that all spa services, including massages, must be booked in advance and will incur a fee. 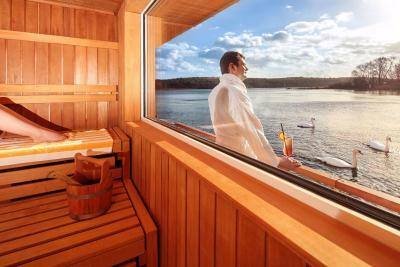 The sauna and spa area also costs EUR 7 per person per day. 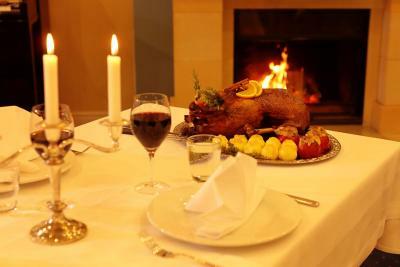 Please note that guests who wish to enjoy the salt and brine chamber must wear white cotton socks for hygienic reasons. 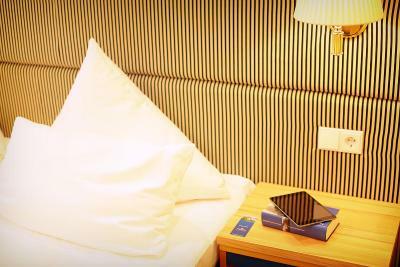 Please note that extra beds and children's beds can also be reserved in advance directly with the hotel by email or telephone. One of the most picturesque neighborhoods in Potsdam! Staff were abrupt. No clear communication. Extra charges for car park and spa facilities. we didnt like that we had to pay extra for onsite parking as this should be really calculated in the price. 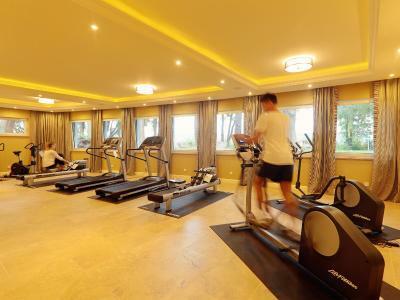 And the wellness should be in the room price as well. There wasn't really anything not to like. Although my husband said that the beds were a bit too soft. 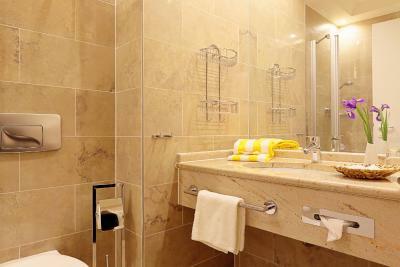 2 towels per person are given at the check-in to use spa & pools. Would be nice if you could exchange and get fresh ones inside the spa area once you are there, especially if you stay there for more than a few hours. 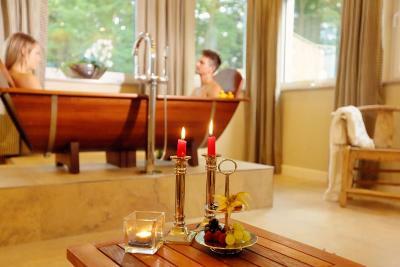 By the way, you gonna pay 5EUR/person/day to use spa facilities. Not a big deal, but I think it makes sense to just add it to the room rate. Too strict rules especially with reference to smoking which is not even allowed on the balcony. I liked the location, the rooms and facilities. Parking fee . Restaurant food needed a little more seasoning . 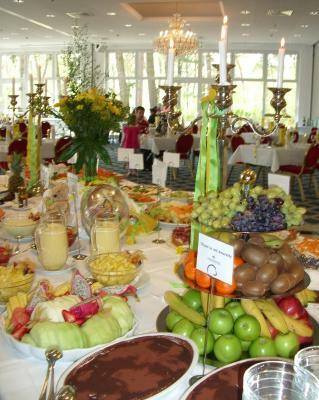 Food appearance wonderful. Taste mediocre , including ceasar salad dressing. Duvet was too short, it did not cover the whole body. Also the duvet was too thick, however this is a personal preference and others might find it just right. Breakfast was great and parking facility was at the hotel. I had a suite. 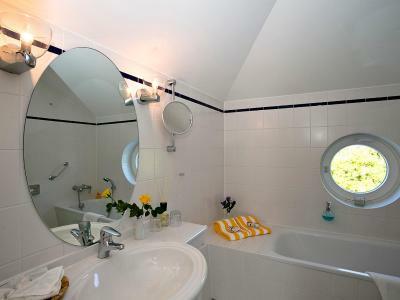 the bedroom floor level and lining and bath upstairs through a very narrow winding staircase. Bed and bathroom should be on the same level. I liked everything but it would have been nice to have a balcony in the room. Outside sauna. Spa facilities are very good. 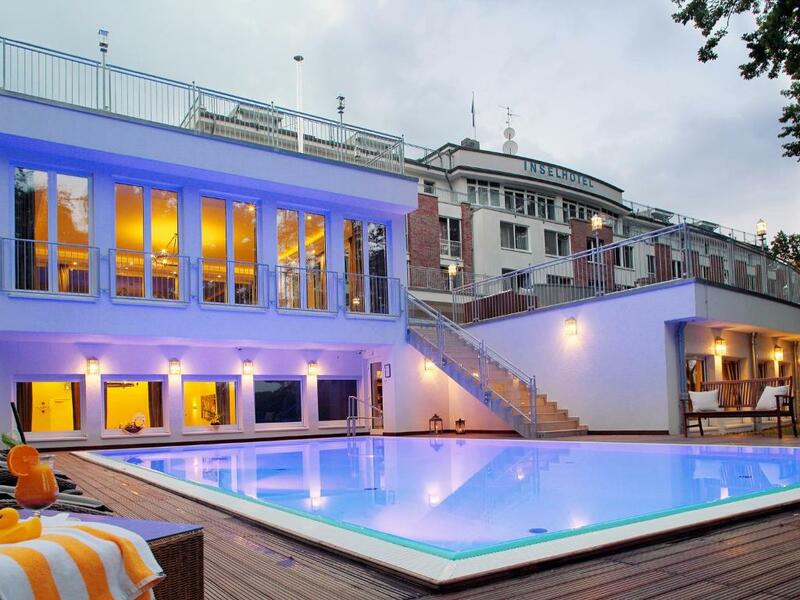 Outdoor heated swimming pool. 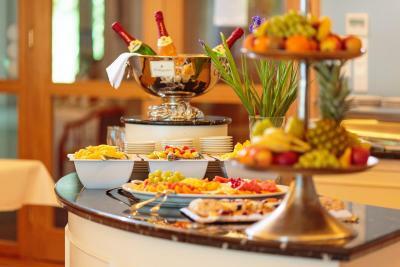 Very good breakfast. Staff very kind and helpful.